Please read the terms and conditions carefully before registering, accessing or using the Services (defined below). The terms and conditions is a legal contract ("Agreement") between you and HOMEBETHE E COMMERCE PVT LTD having its registered office at 601, ROYAL TRADE CENTRE, OPP. STAR BAZAAR, ADAJAN-HAZIRA ROAD, ADAJAN, and SURAT-395009. You agree and acknowledge that you have read the terms and conditions set forth below. If you do not agree to these terms and conditions or do not wish to be bound by these terms and conditions, you may not use the Services and/or immediately terminate the Services. We may amend the terms and conditions at any time by posting an updated version at www.homebethe.com. The updated version of the Terms of Service shall take effect immediately upon posting. If you use our Services, you will be bound by this Agreement which may be amended from time to time. You will be issued a hb Wallet Account immediately after successful registration. You may not add money to or recharge your hb Wallet through online payment methods such as domestic credit/debit card and net banking. However, you will not be able to use prepaid/virtual bank cards, EMI, cards issued outside India or a combination of cards to add money to or recharge your hb Wallet. Except as provided hereunder, amounts in your hb Wallet will not be refunded to you under any circumstances. You may note that withdrawing money from hb Wallet is not allowed. Any outstanding credit in the hb Wallet must be utilized only to make payments for bona fide Transactions. hb Wallets are available only to resident Indians who have attained the age of 18 years and are competent to contract. hb Wallets are not transferable. If HBEPL believes, in its reasonable opinion, that cessation/suspension is necessary for any other legitimate purpose. The value stored on your hb Wallet shall NOT be refunded under ANY circumstances and may only utilized to make payments for bona fide Transactions. No interest will be payable by HBEPL on the available balance reflected on the hb Wallet. You are permitted to maintain and operate only one hb Wallet. Any suspected non-conformity with this requirement shall constitute grounds for the suspension/discontinuation by HBEPL of any of all hb Wallets associated with you on the Homebethe Platform. Any operation of or continued availability of any facility respect to the hb Wallets from time to time shall be subject to any requirements under applicable laws, and any new regulations or directions from any regulatory authorities in India. The rights, benefits, liabilities and obligations under the terms and conditions set forth below shall accrue to the benefit of HOMEBETHE and are applicable to the use HBCASH services to make any type of transactions. For the purpose of these HBCASH Terms, wherever the context so requires 'you/your' or "User" shall mean any natural or legal person who has registered for Services and who has accepted these Terms of Services. The term "We", "Us", "Our" shall mean HBCASH and/or HOMEBETHE. Further, the term "Merchant" shall include any establishment and/or entity who accepts the Services of HBCASH as a payment method to collect payment from their customers for the purchase(/s) of goods and/or services. Similarly, the term "Buyer" shall refer to the person who purchases any of the goods or services provided by the Merchants. 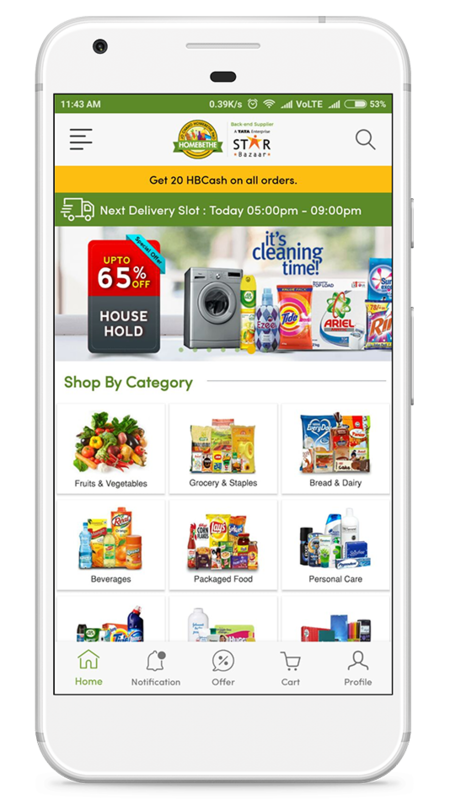 HBCASH facilitates payments and services in connection with online transactions for products or services concluded on and through the HBCASH App and website, or any third party merchant app, website, physical store. In order to use the full spectrum of HBCASH Services, You need to register on the HBCASH and provide us with accurate and complete information. You are also required to keep your accounts and contact information complete and updated at all times. Any account found to contain incorrect and/or outdated information will be suspended. It is your responsibility to provide your correct mobile number so that we can communicate with you via SMS. You understand and agree that if We send you an SMS but You do not receive it because Your mobile number on file is incorrect, out of date, blocked by your service provider, or you are otherwise unable to receive SMS, We shall be deemed to have provided the communication to You effectively. Please note that if you use a spam filter that blocks or re-routes SMSes from senders not listed in your contacts, you must ensure that HBCASH SMS es are marked as trusted as 'not-spam', so that you will be able to view the Communications we send to you. It is your responsibility to keep your primary email address up to date so that we can communicate with you electronically. You understand and agree that if We send you an electronic communication but You do not receive it because Your primary email address on file is incorrect, out of date, blocked by your service provider, or you are otherwise unable to receive electronic Communications, We shall be deemed to have provided the communication to You effectively. Please note that if you use a spam filter that blocks or re-routes emails from senders not listed in your email address book, you must add HBCASH to your email address book so that you will be able to view the Communications we send to you. You can update your primary email address at any time by logging into the HBCASH. If your email address becomes invalid such that electronic communications sent to you by us is returned, We may deem your account to be inactive, and You will not be able to transact any activity using your HBCASH Account until We receive a valid, working primary email address from you. The device (Smartphone) on which you download HBCASH and use during registration, shall become your registered device and its details shall be stored by us. The moment you log into your HBCASH account from a different device using the HB app, you will be asked to allow HBCASH to send an SMS from the new device, after which the new device becomes the registered device. 1. HBCASH can be used to purchase products and services online on Merchant platform. HBCASH can be used by selecting it as the payment mode at the time of payment. 2. HBCASH is one of the payment options available to the Users on Merchant platform and we assume no responsibility for the products purchased using HBCASH and any liability thereof is expressly disclaimed. 4. Minimum Rs 1599/- shopping require to use HBCash. 2. HOMEBETHE further reserves the right to suspend Your HBCASH if You are involved in any suspicious transaction and/or any transaction in gross violation of the rules and regulations issued by the Reserve Bank of India ("RBI") governing the use of Pre Paid Payment Instruments including but not limited to rules and regulations under Prevention of Money Laundering Act, 2002 and any amendments thereto. In such an event, HOMEBETHE shall report the matter to RBI and shall also freeze your HBCASH account until the receipt of findings and clear report from RBI in this regard. 1. A set of username and password is unique to your use of the Service and You shall not share, assign or permit the use of Your username and password to any other persons. You acknowledge that sharing of your username and password with other persons (collectively, "multiple use") may cause irreparable harm to HBCASH. You shall indemnify HBCASH against any loss or damage suffered by HBCASH as a result of such multiple uses. You undertake to notify HBCASH immediately of any unauthorized use of your username or password or any other breach of security. You agree that HBCASH shall not be liable for any loss or damage arising from your failure to comply with this section. vi. Never sharing any of the above credentials with anyone including anyone claiming-from or from bank, HBCASH/ HOMEBETHE etc. 3. If you are a business entity, you agree that all officers, employees, agents, representatives and others having access to the username and/or password have been duly authorized by you to use the Services on your behalf and to legally bind you. You shall be responsible for all actions by current and former officers, employees, agents, representatives and others, regardless of whether authorized by you, that access the Services using the business' user name and password. 1. You must ensure the availability of sufficient funds before executing any transaction from your Account. 2. If you have submitted KYC documents to us, you shall intimate us about change in your address, if any, in writing along with such proof of address as per the KYC documents. 3. Your HBCASH might be a trusted instrument with certain merchants after validating your identity, in such cases misuse of wallet because of auto-authentication on same device because of lost/theft/misuse of device or information will be solely User's responsibility. 1. You must ensure the availability of sufficient funds in the bank account before executing any transaction from your Account. 2. You acknowledge, represent and warrant that the MPIN generated by the You, at any time, that is either before/at the time of linking Your account with HBCASH UPI or regenerated anytime thereafter, provides access to the fund transfer through your linked bank a/c and that You are the sole and exclusive owner, and the only authorized user of the MPIN. You accept sole responsibility for use, confidentiality and protection of the MPIN as well as for the Services availed through the use of MPIN. The MPIN is issued and verified by the Bank and is neither stored nor accessed by HOMEBEHE. The User grants express authority to HOMEBETHE for carrying out instructions authenticated by such MPIN. The User unconditionally undertakes to have MPIN of such number of digits as may be notified by Bank from time to time and to ensure that the same is kept confidential. If the User forgets the MPIN, then the User may regenerate the MPIN from his HBCASH. 3. You authorize HOMEBETHE to forward to your bank, your request to debit your linked bank account when you link your account with HBCASH. You are solely responsible for complying with any terms set by your bank or with respect to your account, including any fee terms, such as non-sufficient fund or overdraft fee terms. 1. You shall promptly inform us for any unauthorized usage of your account, lost/stolen/misplaced/ device or account details, and any other circumstances which may lead to unauthorized usage of your account. The responsibility of any transaction prior to intimation will solely be on the registered User. 2. You agree and understand that when you acquire goods or any other services from a Merchant platform through HBCASH services, we are not a party to the contract between you and the Merchant. We do not endorse any advertiser or Merchant linked to its website or app. Furthermore, we are under no obligation to monitor the Merchant's service used by you; the Merchant alone will be responsible for all obligations under the contract including (without limitation) warranties or guarantees. Any dispute with or complaint against any Merchant must be directly resolved by the User with the Merchant. It is clarified that we shall not be responsible or liable for any deficiency in goods and/or services purchased using HBCASH services. You are instructed to satisfy yourself regarding the quality, quantity and fitness of any good and/or service before purchasing the same. 3. In case any amount is transferred erroneously by the you to any Merchant or any other person, HBCASH shall not be liable to refund such amount to you any circumstances. 4. Any web-link on the website to a third party site is not an endorsement of that web-link. By using or browsing any such other web-link, you shall be subject to the terms and conditions in each such web-link. 5. In the event of any dispute, HBCASH records shall be binding as the conclusive evidence of the transactions carried out through use of HBCASH Services. 6. HBCASH shall send all customer communications by SMS and/or email and they shall be deemed to have been received by you after they have been submitted for delivery to the SMS/email service providers. 7. You agree to receive all commercial message including transactional messages from HBCASH/Merchant. 8. You will use the Services in good faith and in compliance with all applicable laws and regulations. 9. The information and material you provide in connection with the use of the Services is true, lawful and accurate, and is not false, misleading or deceptive. 10. You should be solely responsible for payment of any taxes, duties or other governmental levies or any financial charges that may be imposed on any products or services purchased or supplied through the Services or otherwise arising from online transactions. 12. You shall ensure that the HBCASH Services are not used for Transactions in foreign currency. HBCASH services are issued & shall be valid only in India and shall be used at Merchants only in India. 1. Use the Services to defraud HBCASH, our affiliates or other members or users, or engage in other unlawful activities (including without limitation dealing in products or services prohibited by law). 2. Impersonate any person or entity, falsely claim or otherwise misrepresent an affiliation with any person or entity, or access the accounts of others without permission, forge another person’s digital signatures or perform any other fraudulent activity. 3. Post or transmit any message, image or data which is pornographic in nature. 5. Use the Services in a manner that may result in complaints, disputes, imposition of fines, penalties, charge backs or any other liability to HBCASH. 6. Use HBCASH services for money laundering, tax evasion or any other illegal activities. By registering with us, you consent to conduct transactions and receive communications, notices and information from us electronically, whether sent by e-mail or other electronic means. Electronic communications shall be deemed to have been received by you when we send the electronic communication to the email address/mobile number that as per our records, or when we post the electronic communication on the website. The requirements for such electronic transactions and communications following: you must have access to the Internet, mobile web, applications and a valid e-mail address. You can withdraw your consent at any time by contacting us, but we reserve the right to terminate your Account upon such withdrawal. Withdrawal of your consent will not affect the legal validity and enforceability of any notice, statement or disclosure previously received electronically. You agree to notify us promptly if your email address, phone number or other contact information changes by updating your account information or contacting us. HBCASH strongly condemns and prohibits the prevention of money laundering and any activity that facilitates money laundering or financing of terrorist or criminal activities. At HBCASH the directors, officers, employees and any other individuals or organisations associated with HBCASH are supposed to adhere to the applicable law. An unauthorized transaction occurs when a payment is made from your account that you did not authorize. For example, if someone makes a transaction from your account using a stolen password, an unauthorized transaction has occurred. If you provide access to your account to a third party (by disclosing your login or/and MPIN information or any other information) and they conduct transactions without your knowledge or permission, you are responsible for any resultant use. The liability of any misuse is solely yours, until you report the issue HBCASH. We will rectify any error that we discover. If the error results in your receipt of less than the correct amount to which you are entitled, HBCASH may credit your account for the difference. If the error results in your receipt of more than the correct amount to which you are entitled, HBCASH may debit the extra funds from your account. If you erroneously send a payment to the wrong party, or send a payment for the wrong amount (for instance a typographical error at your end) your only recourse will be to contact the party to whom you have sent the payment and ask them to refund the amount. HBCASH will not reimburse you or reverse a payment that you have erroneously made. All payments on HBCASH for mobile/DTH recharge, Bill Pay, P2P transfers are final. Such transactions cannot be refunded/ returned or cancelled once initiated. We will send notice of any change to you that involve an increase in fees or liability for you ("Material Change"), to the registered email address, and that Material Change will be effective 15 days from the earlier of posting it to our Website or otherwise communicating it to you. You will be deemed to accept any Material Change if you use the Website or Services after the 15-day notice period. We may make Material Changes without prior notice if immediate changes are necessary for security reasons. HBCASH will not be responsible for such service outages. IN NO EVENT SHALL HBCASH OR ITS AFFILIATED COMPANIES, SUBSIDIARIES, OFFICERS, DIRECTORS, EMPLOYEES OR ANY RELATED PARTY BE LIABLE FOR ANY SPECIAL, INCIDENTAL, INDIRECT OR CONSEQUENTIAL DAMAGES OR ANY LOSS OF REVENUE OR PROFITS ARISING UNDER OR RELATING TO THESE TERM OF USE. TO THE EXTENT PERMITTED BY LAW, OUR MAXIMUM AGGREGATE LIABILITY TO YOU FOR ANY CAUSES WHATSOEVER, AND REGARDLESS OF THE FORM OF ACTION (WHETHER LIABILITY ARISES DUE TO NEGLIGENCE OR OTHER TORT, BREACH OF CONTRACT, VIOLATION OF STATUTE, MISREPRESENTATION OR FOR ANY OTHER REASON) WHATSOEVER WILL AT ALL TIMES BE LIMITED TO INR ONE HUNDRED (INR 100). d. The Services are interrupted or delayed due to hacking, authority, website upgrade, banks, and other reasons. This Agreement and the rights and obligations there under and the relations of the parties and all matters arising under or in connection with this Agreement, including the construction, validity, performance or termination there under, shall be governed by and construed in accordance with the laws of the Republic of India. 1. You agree that all risks arising from online transactions will be borne by you. 2. HBCASH and third party partners make no warranty, express or implied regarding the quality of Services including but not limited to: i) the Services will meet your requirements; II) the Services will be uninterrupted, timely or error free; or III) any products, information or material obtained by You in connection with the services will meet Your requirements. 3. Except as expressly provided herein and to the full extent permitted by law, the Services are provided "as is", "as available" and "with all faults". All such warranties, representations, conditions, undertakings and terms, whether express or implied, are hereby excluded. It is your responsibility to evaluate the accuracy, completeness and usefulness of the Services and other information provided by HBCASH or generally available. We do not authorise anyone to make any warranty on our behalf and you should not rely on any such statement. 4. In no event will HBCASH be liable for any indirect, consequential, incidental, special or punitive damages, including without limitation damages for loss of profits or revenues, business interruption, loss of business opportunities, loss of data or loss of other economic interests, whether in contract, negligence, tort or otherwise, arising from the use of or inability to use the Services, however caused and whether arising in contract, tort, negligence, warranty or otherwise, exceed the amount paid by You for using the Services giving rise to the cause of action or Rupees One Hundred (Rs. 100) whichever is less. 5. If you have a dispute with other parties, you release HBCASH (and our affiliates and officers, directors, agents, and employees thereof) from claims, demands and damages (actual and consequential) of every kind and nature, known and unknown, arising out of or in any way connected with such disputes. 1. If any provision of this Agreement is held to be invalid or otherwise unenforceable, then that provision shall be deleted and the remaining provisions shall remain valid and enforceable. 2. Headings are for convenience purposes only and in no way define, limit, construe or describe the scope or extent of such section. 3. Any failure by HBCASH to exercise any of our rights under this Agreement shall not constitute a waiver of such right or a waiver with respect to subsequent or similar breach. A waiver shall be effective only if made in writing. 5. If there is any conflict between the English version and another language version of this Agreement, the English version shall prevail.